I’ve done a lot less reading this year for obvious reasons. My coursework load was greater than previous years and I had a new job at the start of the year which left precious little time for me to read. I also resolved to spend more of my free time with my wife. But I did get some reading done. N.T. 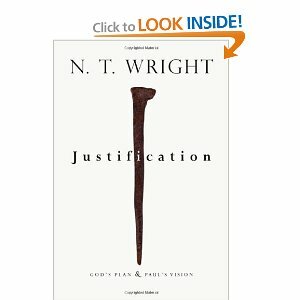 Wright – Justification – God’s plan, Paul’s vision – This was the kind of book Piper should have written. One of the most insightful books I’ve ever read Paul – even if you disagree with Wright this needs to be on your reading list. If you ignore it you will miss a huge amount of what is going on in current scholarship. 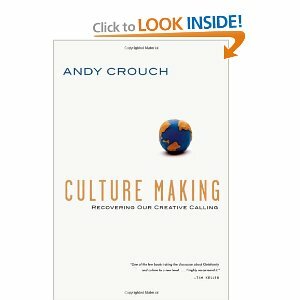 Andy Crouch – Culture Making – The only way to change culture is to make more of it. Critiqing, Copying, or Avoiding culture just don’t do anything significant. Crouch believes we are called to be creators of culture. This has a tonne of implications for every area of ministry. Highly reccomended. 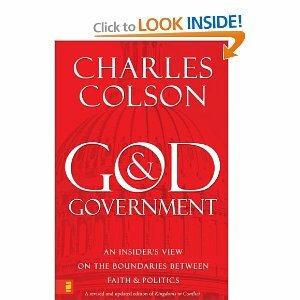 Charles Colson – God and Government (formerly Kingdoms in Conflict) – Interesting look at the role of Politics and Faith. Probably a more heated debate in the USA than in NZ but still very interesting. A little dated but had a great section on how the Church in Germany was co-opted and controlled by the state during the Nazi Regime. 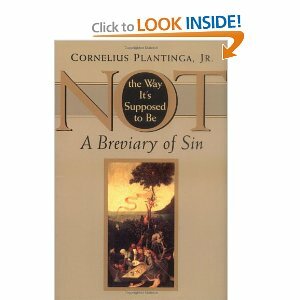 Cornelius Plantinga – Not the way it’s supposed to Be (A breviary of Sin) – This book started out a little badly but got really good towards the end. I found myself having to repent at almost every page and very grateful for God’s grace. Very necessary to remind ourselves of Sin because our culture is so good at claiming it doesn’t exist. 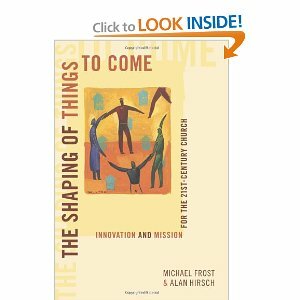 Michael Frost & Alan Hirsch – The Shaping of things to come – A radical new way of doing Church. I don’t always agree with him – he basically writes off the attractional model of Church which I don’t agree with. Both attractional and incarnational have value. I loved the example of a Church in England which has Celebration services once a month where the whole Church gathers, but every other sunday people meet in sattelite groups. Provocative and Edgy but well worth reading even if you disagree with his conclusions. 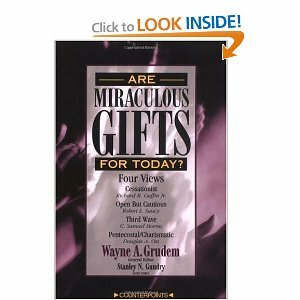 Wayne Grudem et al – Are miraculous gifts for today? 4 Views – Glad to read a Cessationist view from someone who wasn’t a closed minded dispensationalist follow B.B. Warfield’s false miracles view. Sam Storm’s point that Pentecost was less of a fulfillment of prophecy and more of something innaugural was intriguing. A great introduction to the debate. FYI – I am a continuationist. 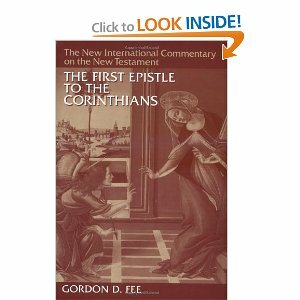 Gordon Fee – 1 Corinthians – Best text on 1 Corinthians to date. Used it for my paper on 1 Corinthians. Hard to beat and hard to fault. Fee’s work is always excellent. 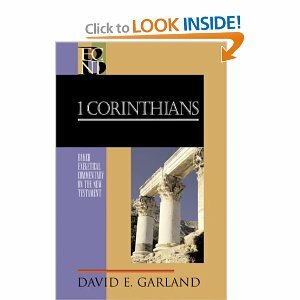 David Garland – 1 Corinthians – The BECNT series is more up to date than the NICNT in most cases. Garland had a knack for saying things you’d want to quote in sermons or essays. He was to the point but not brief. His exegesis was fantastic! You can view the article here on Christianity Today. The article struck a chord with me, and it’s something I’d like to offer some advice on. 1. Don’t believe everything you read, a lot of Christianity today only applies in America. Make sure you know your own local context. 2. There is no single unifying theory that explains why young people are leaving the Church – their reasons are often varied. We need a multifaceted approach. People who have been swept away by the tide of New Atheist literature need to be approached differently to those who leave because of moral dillemas etc. 3. We must distinguish between who have left the institutional church and the Christian Faith. They are not always the same. Just because someone is fed up with the Church they go to, does not mean they are no longer followers of Jesus. People leave Churches all the time – it’s a distinctly protestant thing to do isn’t it? As lamentable as it is, sometimes it can be the best wake up call to leadership that has run amock. Sometimes leaders need to be dethroned when they have been corrupted by power and abused their post. 4. I would argue that it is a post-modern ideology that is driving the vast majority of this behaviour. It is not so much that people are less spiritual in the 21st century. To say that is to hark back to a modernist enlightenment framework which dismisses any spirituality as superstition. Rather it is the death of the meta-narrative and other sub meta-narratives that have left many in no-mans land. For example as Ken Robinson said about the current Education system. It is built on a particular story that if you worked hard in school you would go to University and get a good job afterwards. But people don’t believe this story because it is no longer as true as it once was. A job after university is not guaranteed – anyone who disagrees needs to speak to my wife who has a Degree, a Masters and a Graduate Diploma, but has been unable to secure full time work for more than a year. There is an urgent task we have as Christians to be telling God’s story to the world. The modernist story has left people morally and spiritually bankrupt. People recognise that we cannot have limitless progress. 5. We need to be faithful improvisors of God’s story in the world. Many cited Church conflict and hypocrisy as reasons for leaving the Church. In many cases it is a fair call. I left a Church for the same reason, but I never abandoned my saviour. As faithful improvisors we seek to model Christ to the world in our current place in history. At this current time and place in history means being united on the essentials of the Christian faith. Infrasulapsarianism or Suprasulapsarianism are not essential doctrines. But Jesus as Lord and the only way to salvation certainly is. We do not need to pretend to be perfect or super Christians. Nor do we need to have final doctrinal position on every issue. We need to encourage fellowship amongst believers, and allow each other room to disagree on non-essentials while maintaining unity on the essentials. The post-modern world may be more willing to listen when we show them the Gospel at work. We must be Christians of the end and the means. The united Church is a sign to the world that we serve a different master. 6. Each Church needs to spend time and resources educating it’s members on how to be Christians of the heart and mind. It is ok to question, doubt and wonder about the world, God and life. The big questions are hard for a reason. They never go away, and telling people they are stupid questions or having trite answers doesn’t cut it. Churches need to step it up in this regard. We are called to give a reason for the hope that is in us. If you are a Church leader make room for people who doubt and have questions. If you need to do more research and study the Bible a bit more that can only be a good thing. Remember that Doubt is not unbelief, it’s faith seeking understanding. 7. Lastly, pray. Pray that God’s kingdom would be on Earth as it is in heaven. Pray that God opens the hearts of those you are trying to reach. Pray that God would give you the patience, grace and humility to meet people where they are at, to come down to their level and bear their burdens with them. And trust. This world is God’s world after all. He has seen more people leave the Church than anyone of us, and it’s nothing new to him. This is HIS world, and one day he will do for us and all creation what he did for Jesus Christ nearly 2000 years ago. I’ve lost count how many times I’ve said to my wife that I will google this or that when I get home, only to forget about it completely, sometimes even for months at a time. Anyway, I remember watching an episode of Dharma and Greg (yes I know, I know) on video tape (yes I heard you the first time) and coming across this little beauty of a “vanity card” that flashed up on screen for a second or two. Myself, my brother and my dad all had the same idea. Rewind the tape and freeze frame. I remember my dad making a comment that this Chuck Lorre had something worth saying in this little schpiel of his, so I thought I would track down this memory and post it for the world to see…. I’ve never understood the phrase “God’s will be done.” It certainly wasn’t bandied about while I was growing up on Long Island. Were it not for TV and the movies, I probably would never have heard it at all (prune-faced sodbusters in the Old West seemed to say it a lot). The American psyche of the Fifties and Sixties celebrated our will, not God’s — and we believed our will was limitless. But thankfully, as I’ve gotten older, I’ve come to realize that my will is anything but limitless. I can will myself to knowledge, but not to wisdom. I can will myself to pleasure, but not to happiness. I can will myself to money, but not to a sense of security. I can will myself to veggies and aerobics, but not to good health. Hell, I can will myself to bed, but not to sleep. All of which leads me to conclude that my deepest desires were never attainable through the exercise of my will. There’s a feeling of relief in that conclusion. And unless God has a Manhattan attitude towards people from Long Island, there’s a small bit of hope. When Jews were shipped off to concentration camps in WWII the quickest way they were killed was not only by starvation, shootings and the like. Many committed suiced because their lives had become purposeless. Charles Colson tells the story of one concentration camp where prisoners were forced to move a pile of dirt from one end of the field to another. They did this everyday. The job had no purpose, and gained nothing for the Germans. Yet those Jews doing the job eventually broke down, and many committed suicide. You see what we believe about the end, the goal, the teleos of life will determine what we do in the present. God has made this world for a purpose, he has made us as individuals and us as his church for a purpose. Everyone has an eschatology – even Atheists – even the German army in the 2nd world war – theirs was one which involved a pure german airian race, blond haired blue eyed people, no jews. That was their future that they worked towards in the present. What is our eschatology and how does it line up with God’s as revealed in his word? A future where God has brought unity to all things in heaven and on earth under Christ. Where Jesus Christ is Lord of all. Right now that will look like Jew and Gentile coming together, black and white coming together, male and female working side by side as equals in the kingdom. And it’s all around Jesus – the centrality of Jesus is so important. We are not unified for the sake of unity or because it’s part of our PC culture we just better get on with it. Rather we are all united in Christ – united around him – he is the source and purpose of our unity. If we are united in other things, great, but if Christ is not the centre it is doomed to failure. I really liked this book – I couldn’t put it down and just had to finish it. It’s not often I get that way with a book. When it comes to culture Crouch has a lot of insight. His central thesis is that you cannot simply condemn critique, copy or consumer culture, and still hold any hope of changing it. The only way culture changes are when you make more of it. Crouch uses the example of Dan Browns “Da Vinci Code” movie. Christians could picket the movie and protest but would simply appear small minded and put people off being Christian. We could write clever critiques of the movie but in reality who would listen to us apart from a small group of Christians? We could copy the movie, removing all the bits we don’t like – in effect Christianise it – but the movie would only appeal to a limited audience, namely conservative Christians. We could simply watch the movie and write it off as a good story leaving it at that, as most people would do. But we would be no different to our own culture. Instead, why don’t Christians just make better movies? You can only change culture by giving people real alternatives. Culture according to Crouch is what we make of the world, something deeply imbedded in us as creatures that bear the image of the God who creates. Indeed culture is so hardwired into us that our first response to sin was to make cultural goods – figs leaves for clothing. Crouch is wise and has wrestled deeply with our desire as Christians to “change the world”. He spends a lot of time clearing the playing field to make sure we’re all on the same page. One thing I really liked was that he was so balanced. Every time I reached the point where I had an objection he came right in and answered it. However the one blindside of the book is that it tends to be a bit individualistic – his 3:12:120 formula struck me as a bit trite. For all his talk of social networks Crouch didn’t seem to spend much time assessing their influence on creating culture. But that aside, if you’re looking for a good text on how Christians should engage with the Culture and what a Christian response to culture looks like then this book is definitely for you. Praise be to the God and Father of our Lord Jesus Christ who has blessed us in the Heavenly realms with every spiritual blessing in Christ. to the praise of his glorious grace which he has freely given us in the one he loves. To be put into effect when times reach their fulfillment, to bring unity to all things in heaven and on earth under Christ. In him we were also chosen, having been predestined according to the plan of him who works out all things in conformity with the purpose of his will, so that we who were the first to put our hope in Christ Jesus might be for the praise of His Glory…. This past week has been something of a wake up call. After listening to Wright @ the wheaton conference I’ve taken up his challenge to memorise Ephesians. So far I’m up 3 days in and 3 verses down. It’s not as hard as I thought. But one thing I’ve found working in me as I do this is that my day doesn’t get easier, sometimes it gets harder, but this internal monologue i’ve been having with myself has changed at times. There it was in verse 1….I had been stewing over it for a whole day – that one verse “Paul, an apostle of Christ Jesus, by the will of God, to God’s holy people in Ephesus, the faithful in Christ:….” (i wrote that from memory btw). Paul was the worst of sinners, he persecuted the church, he went out of his way to stamp out the community of God, the visible manifestation of the kingdom of God on earth….When he came to realise this I’m sure his past haunted him…he must have felt like the worst person on Earth. God had to confront him in the person of Jesus to say “Sorry buddy but you’re in the wrong and I’m in the right…” Yet he become a minister of the Gospel extraodinaire. All by the will and grace of God!! 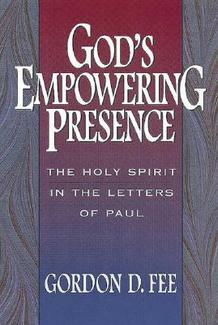 I can’t tell you how good it has been for me to spend time mulling over ephesians. I believe God directed me to do that through Wright’s sermon….it has not changed my life and made me a millionaire. It hasn’t gotten me a promotion or a bigger house. I’m not super spiritual and certainly don’t float 3 inches above the ground with a dinner plate behind my head. But I am a broken Christian who is too good at beating himself up over stupid things, but slowly becoming captivated by God’s Grace through Jesus by the power of the Spirit. This is what reading scripture does – when we mull over it, meditate on it, chew over it…..take it with us and see what it does when we’re faced with the possibility of failure….it does not always remove us from our situation, but somehow God gives us the strength via his spirit to face the situation….the Spirit is as Fee suggests “God’s empowering presence”…..the Spirit does not rob us of humanity but rather redeems it and makes us fully human.